Sagarmatha National Park covers an area of 1148 square kilometers in the Khum bu region of Nepal. The Park includes the highest peak in the world. Mt. Sagarmatha (Everest 8848 m.) and several other well known peaks such as Lhotse, Cho Oyu, Pumori, Ama Dablam, Thamerku, Kwangde, Kangtaiga and Gyachyung Kang. As Mt. Sagarmatha(Everest) and the surrounding area is of major significance not only to Nepal but to the rest of the world, its status as a national park since 1976 is intended to safeguard its uni que cultural, physical and scientific values through positive management based on sound conservation principles.The Himalaya were uplifted at the end of the Mesozoic Era, some 60 millions years ago. The resulting young mountains of this region are still rising and the net growth is a few centimeters per century. Vegetation in the park varies from pine and hemlock forests at lower altitudes, fir, juniper, birch and rhododendron woods at mid-elevations, scrub and alpine plant communities higher up and bare rock and snow above tree line. The famed bloom of rhododendrons occurs during the spring (April and May) although much of the. flora is most colorful during the monsoon season (June to August). 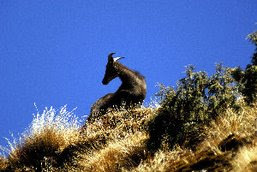 The wild animals most likely to be seen in the park are the Himalayan tahr, goral, serow, musk deer and Himalayan black bear. Other mammals are weasels, martens. Himalayan mouse hare (Pika), jackals and langur. The park provides a habit for at least 118 species of birds. 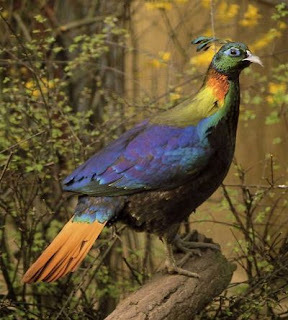 The most common birds to be seen are the Impeyen pheasant (the national bird of Nepal), blood pheasant, cheer pheasant, jungle crow, red billed and yellow billed coughs and snow pigeon. Fairly common birds are the Himalayan griffon, lammergier, snow partridge, skylark and many others.